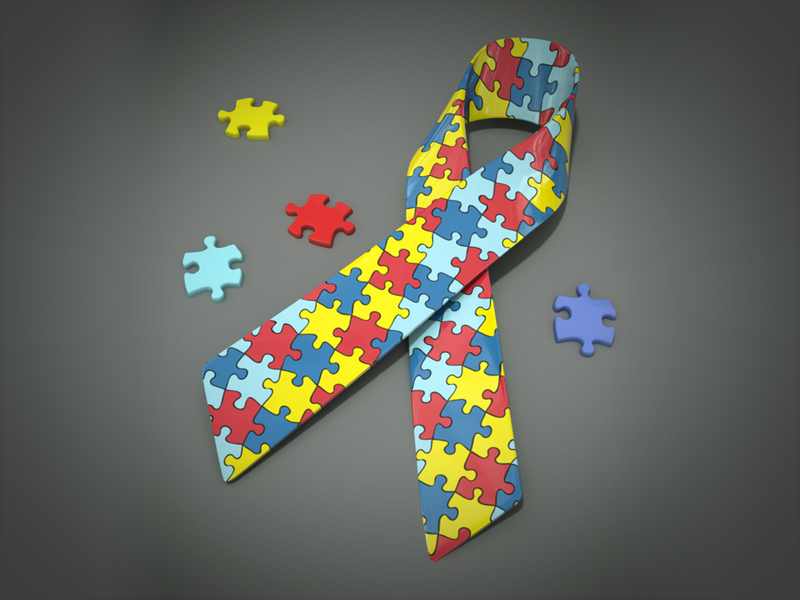 (CBS News) Much of the media attention on autism focuses on children with the disorder, and early invention tactics that may lead to a better future for these kids. But what happens when these children grow into young adults? Dr. Jane Thierfeld Brown, director of student services at the University of Connecticut School of Law and co-author of the book, "The Parent's Guide to College for Students on the Autism Spectrum," told CBS News, "From what you see in ads and fundraisers you would think autism is a childhood disorder that people 'grow out of.'" Brown is also a parent of a 20 year old son on the autism spectrum. From the time of their child's diagnosis, families struggle with many issues, including education, independence, and making friends, to name a few. But after high school ends, families have few options for adult services. If the student is going to college, he or she may need additional services than what is typically offered on campus. According to College Autism Spectrum, an organization Brown co-founded with Lisa King of St. Catherine's University and Lorraine Wolf of Boston University, more than 15 colleges and universities around the country offer programs to help incoming students on the spectrum. In addition to those programs, Brown and her colleagues have conducted training seminars at more than 50 colleges around the country, preparing faculty and advisors on what makes a successful program that could aid the growing population of young adults on the autism spectrum. With help from Dr. Brown, keep clicking to see a look at five programs for students with autism, and other support university offerings for students with autism. UCONN's SEAD program aims to help students with autism have a smooth transition into college and gain the skills and self-determination needed to advocate for themselves on campus and later on in the world of work. Students in the program meet with a graduate assistant weekly to provide support. Students who need a "less-intense" program can still participate in the program at a reduced level. "The SEAD program give students the support they need to transition to a new environment where the college culture may be foreign," Brown, who works for the university and helped develop this program, told CBS News. "The structure, support and especially the Freshman Seminar, gives students connections to the University and to key staff who assist in their success in college. In accomplishing this goal, students will also learn more about themselves, their disability, and how to be autonomous individuals." The skills students pick up can be practiced on campus and hopefully transferred to the employment world, Brown says. William Z. Roy, a 24-year-old human development and family studies major, told CBS News in an email, "My favorite aspect of SEAD would have to be the personalized attention I receive." He says the program is customized to his needs and and his aides and advisers work on short and long-term goals for his social, academic and life skills. "The high school and community colleges I attended were more rigid with what they could accommodate and my peer groups were more close-minded," Roy said. To learn more about the program, visit SEAD's website. The Kelly Autism Program at WKU was founded in 2002, and has since grown to have more than 100 individuals enrolled. The "KAP circle of support" provides three major areas of supports: private room, study tables and mentoring. During mandatory study times four days a week, students get instruction on executive functioning skills like organization and prioritizing work, and also receive tutoring on their classes. Students also are assigned a mentor that acclimates them to campus and periodically check in. The College Program for Students with Asperger's Syndrome was started in 2002 at Marshall University in Huntingdon, West Va. Students meet regularly with College Program staff and their positive behavior support teams to monitor progress, develop "to-do" lists and identify new goals for academic, social and life skills. "The ultimate goal is, as with any other student, to develop necessary skills to enter a preferred job market and live a productive, independent, and quality life," the university said. The program also boasts an impressive support staff for students, with trained faculty, students, and tutors who assist students and adapt to their individual learning styles. Being one of the first programs in the country for students with autism, Marshall gets so many applicants but can only select a fraction of the amount of students. To find out more, visit the program's blog. Students on the autism spectrum that enroll in the school's MoSAIC program can develop the social and organizational skills required for college life. Students in the year-long course meet twice each week with a Life Coach to work out any issues that may have come up during the week, and also meet with student peer mentors. The program also offers a unique monthly activity to apply what they've learned - for example, students may go to a restaurant to practice communication or visit local companies to learn about job placement. Rebecca Sadowitz, a 20-year-old freshman majoring in biology who is enrolled in the program, says MoSAIC taught her more about herself. Sadowitz told CBS News in an email that when she was in high school, she'd cringe at the word "Asperger's" and avoided saying it, even though it was a part of her. "The MoSAIC program has had a direct impact with how I have grown to understand and see myself as an individual with Asperger's," Sadowitz said. She said through the program, she met more people who were similar to her academically. "I am learning to embrace my differences and how it can actually help me throughout my life," Sadowitz told CBS News. "I have always been comfortable in my own skin in that I have been able to make myself happy, but the MoSAIC program has been an integral part of helping me become confident in my own skin." Many college students around the country have an opportunity to study abroad, and the MoSAIC program is no exception. Some students travel with staff from the school's Office for Students with Disabilities. Last year a group traveled to Ireland, Wales, Scotland, and England for two weeks. Click here for pictures from the program's inaugural study abroad trip in 2009 trip to Fiji, New Zealand, Australia and Hawaii. The Douglass Developmental Disabilities Center at Rutgers University offers a College Support Program for students who are on the Autism spectrum. The program offers special faculty support and other accommodations, including the ability to live in a single room. Coordinators meet with students once a week, or more if necessary, to address academic, social and life skills. Student peer mentors, who are often junior and senior psychology education majors who undergo a training, also help students in the program acclimate to university life. There are six students enrolled in the program at Rutgers, according to Rutgers Focus magazine, and 11 peer mentors. "Social interaction is very difficult for most of our students," program coordinator Pamela Lubbers, told Rutgers Focus. "So if maybe a student is interested in a club or activity, a peer mentor would say, 'I'm happy to go to that first meeting with you." Can students with autism attend other colleges and universities? Just because a school doesn't have a specific program for students with autism, doesn't mean the school is not equipped to educate and care for students with an autism spectrum disorder. Brown says she and her colleagues have personally trained at more than 50 colleges around the country, teaching staff techniques to support students on the autism spectrum including strategies to increase academic and social success, executive functioning and self regulation, and awareness training for faculty and students. To find out more about these schools, visit College Autism Spectrum.